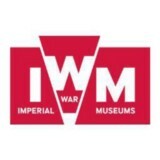 IWM is a family of five museums recording and showcasing experiences of modern conflict. Hello, Daisy here. I am going to talk a little bit about my experience in researching and developing a script for our film as part of the Make Film, Make History project. What does film have to do with identity anyway? Hello! I’m Molly, and I’m a participant on the Make Film, Make History project from Dunmow, UK. Here are my two cents about what I think it means to be young in Europe today.